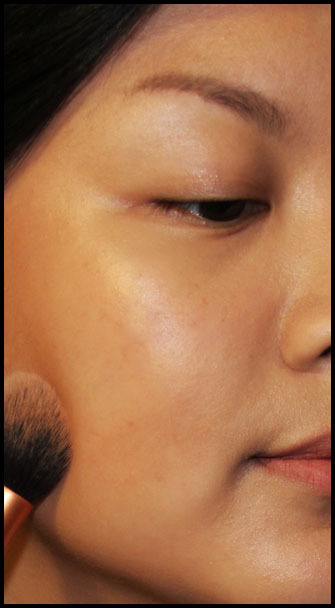 Start by buffing a face tanner onto your skin. I was recently sent a good one by Le Tan called Face Tan Radiant Glow Instant Self Tanning Lotion. Keep it light - too much tan is never a good thing. NEVER. Then, using a buffing brush, buff a foundation that's slightly darker than your normal skin tone onto your skin. I am using INIKA Certified Organic Liquid Mineral Foundation in Beige. Using the same brush, buff a cream bronzer onto the outer frames of your face, and the high points - the cheekbones, temples, the bridge of your nose, and chin. I used Rimmel 8hr Mousse Bronzer in Medium Glow. 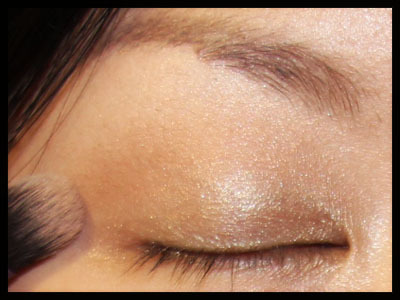 Then, apply a gold cream eyeshadow onto your entire lid. 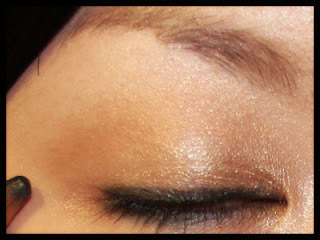 I am using Jemma Kidd Glitterati Eyeshadow Dust Duo in Papparazzi. 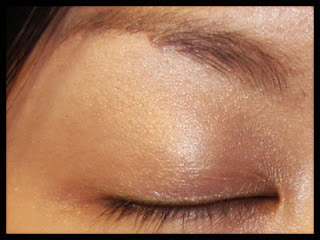 Using a fluffy brush (I am using Real Techniques Deluxe Crease Brush), place a contour colour onto your crease. I used the Sleek Contour Kit in Medium. Line your eyes with a pencil liner. I am using MAC Eye Kohl in Smolder. Don't make the line too thick, and don't take it to far at the outer corners. Then, place a dark purple eyeshadow below the crease. I am using Red Earth Illusion Lights Beauty Pro Eyeshadow in Cocoa Berry. 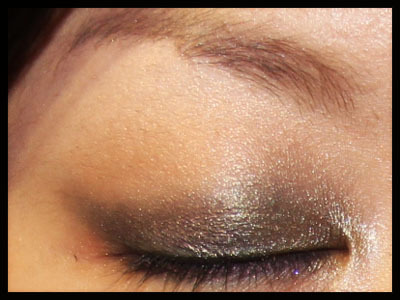 Using a smudge brush, blend and soften the purple eyeshadow, and extend it slightly at the outer corners of your eyes. Then, place a metallic cream eyeshadow (I chose cream because it adds beautiful texture to the look) on the inner corner of your eyes, stopping in the middle of the eyelids. 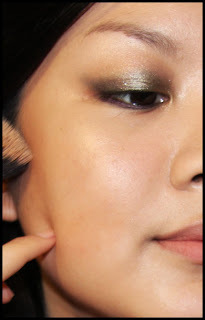 I used Sleek Molten Metal Metallic Eyeshadow Duo. 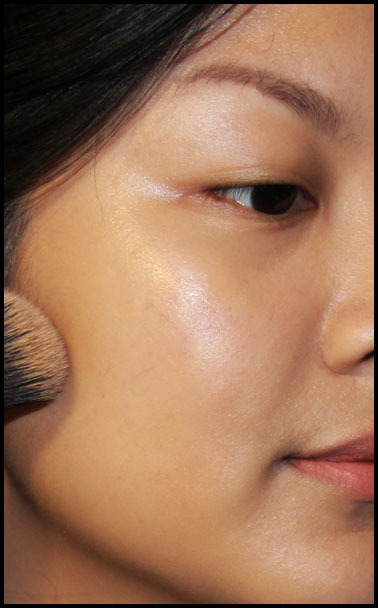 Using a stippling brush, place a subtle highlighter onto the cheekbones. 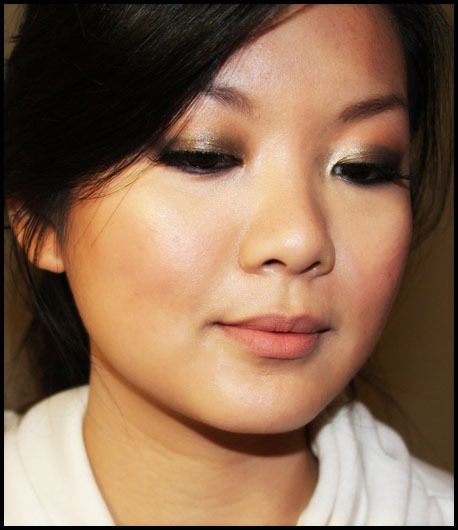 A great subtle highlighter for this look is the Jemma Kidd Dewy Glow All Over Radiance Creme in Rose Gold. Then, apply a rosy pink blush to the apples of the cheeks. I used MAC Mineralise Blush in Gentle. Finish off with a matte lip cream. I used Collection 2000 Cream Puff Lip Cream in Angel Delight.